Anyone can go to the grocery store and pick up a greeting card. Since the love you share with your sweetie is unique and memorable, why not make your Valentine’s Day message match? It’s easier than you think! 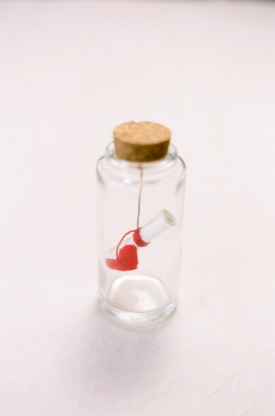 I found this fun message in a bottle tutorial on Goodwill’s DIY Valentine's Pinboard and instantly swooned. It would be so easy to recreate with a tiny jar from Goodwill’s glassware section and a few other odds and ends. Check it out and the other creative DIY options they share for the upcoming holiday! Maybe it’s your family you intend to shower with love this February 14. In that case, a little letterbox for each family member (packed with love notes and treats, of course!) might be a better way to go. 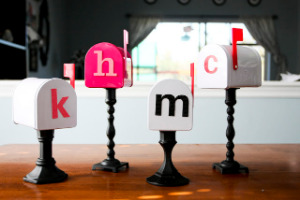 Emily of The Anderson Crew blog found candlestick holders at her local Goodwill to provide the bases for each of the letterboxes she created! I love how each one is simple (i.e. easy), but together they become bold statement décor. Customize the boxes to your family’s specifications and watch their faces light up the moment they lock eyes on it. The magic of every holiday is in the memories we create. Don’t let this one be any different! So you’re single. So what? That does NOT mean you have to be left out of this holiday. Romance yourself with a fancy new frock or do something else that’s just for you. You deserve it! 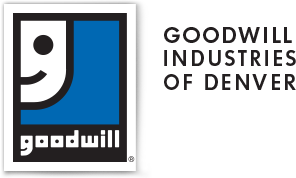 Glide through Goodwill’s aisles in search of the perfect dress (here’s a little inspiration from the Goodwill in Charlotte! ), then enjoy your favorite meal out with friends. If you’re looking your best, then you’ll be feeling your best and who doesn’t love a little retail therapy? You may even meet someone and start a brand new love story! Who knows? No matter how you choose to celebrate this Valentine’s Day, we hope you are able to truly enjoy it. Showing our love is an essential part of living a positive life no matter who you’re sharing it with.